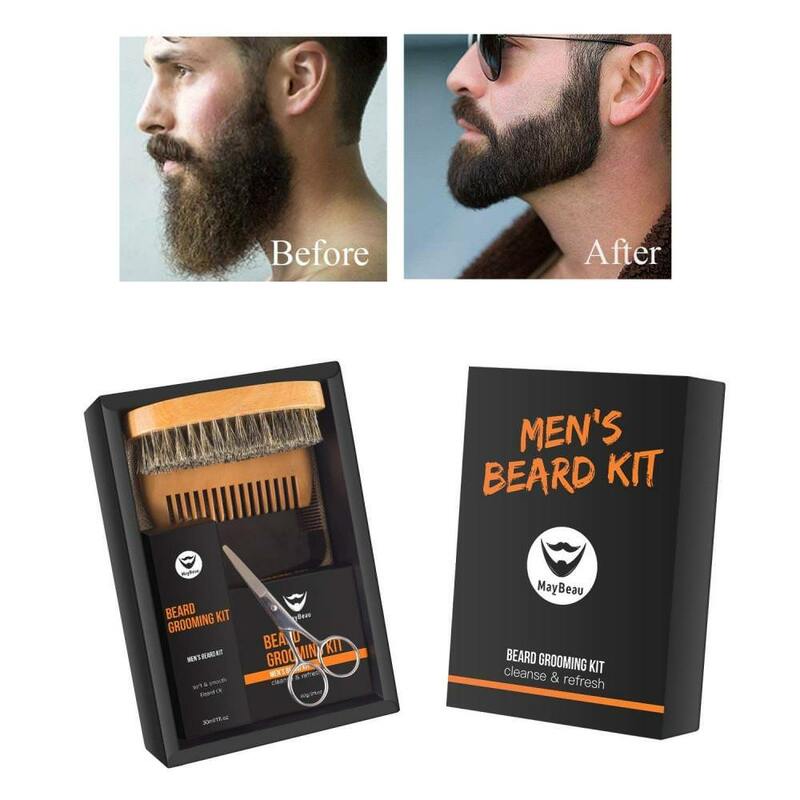 8 IN 1 PERFECT BEARD KIT GIFT:This unique gift set comes in a premium gift box with all beard care products including 60g unscented Beard Balm,30ml Beard Oil,Wooden Two-Sided Beard Comb,Mustache Scissors,Beard Brush,Shape Tool,Canvas Bag.This Beard Care Kit can easily make up a great gift for your bearded husband,friend,family member to tame up their beard and mustache! 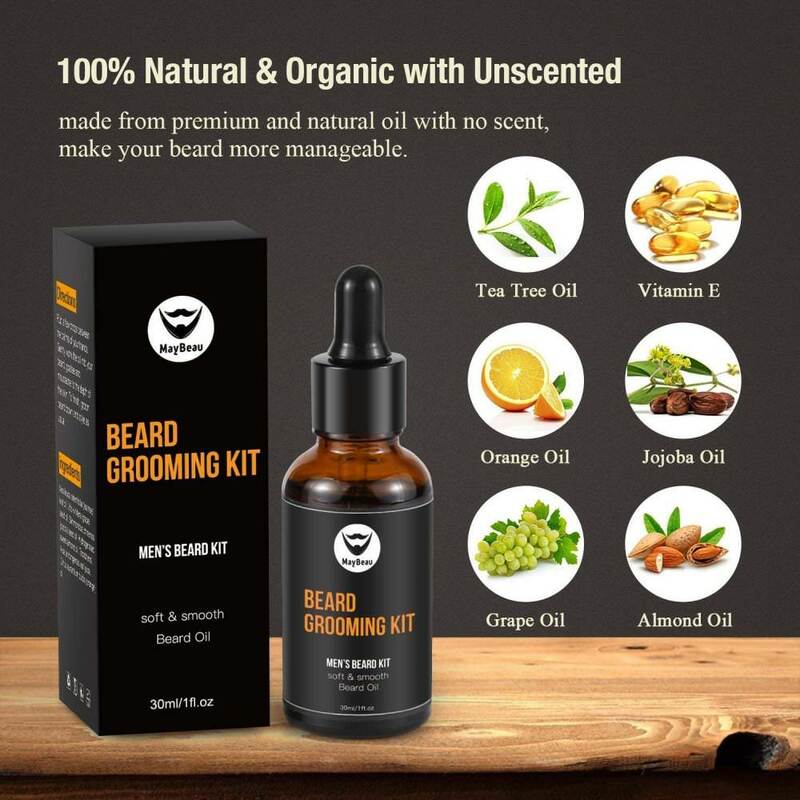 100% NATURAL PURE & ORGANIC INGREDIENTS – Argan oil, Jojoba oil and Vitamin E oil are main ingredients.100% natural and organic,Jojoba oil also plays a role in moisturizing and smoothing while promoting the healthy growth of whiskers.Natural botanical ingredients can effectively prevent itching, dryness and irritation.you’ll enjoy the best beard growth. 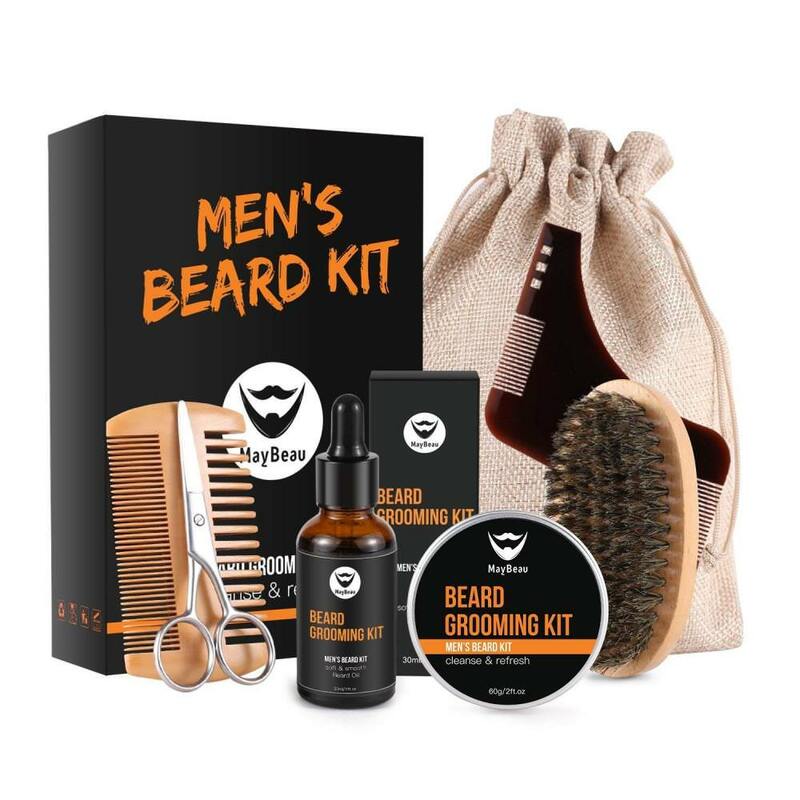 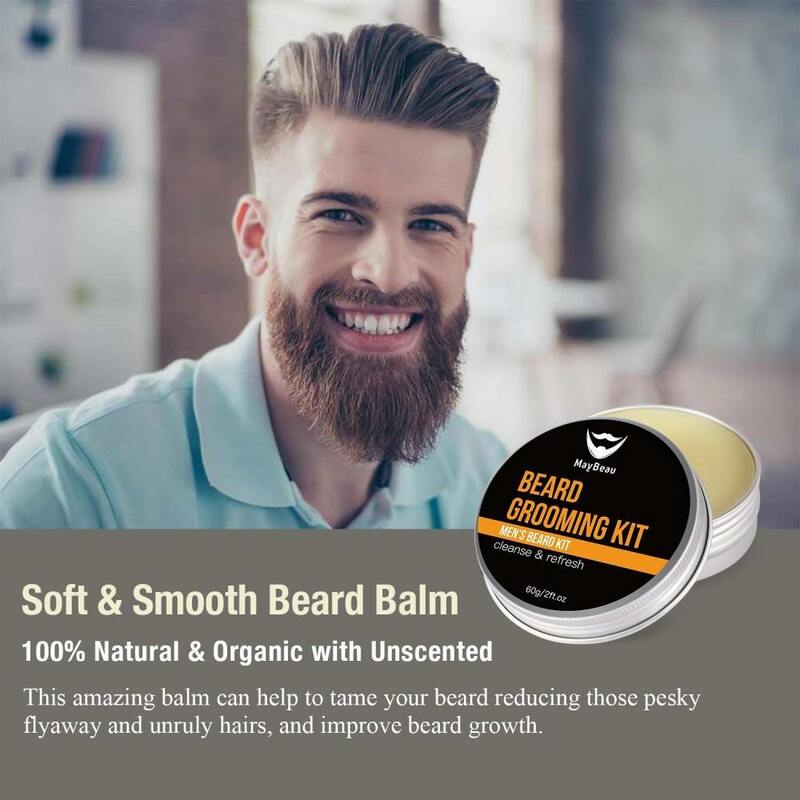 UNSCENTED BEARD OIL AND BEARD BLAM:Completely free of spices.beard oil designed with dropper which can control dose, prevent oxidation.It will help you hydrate your skin, eliminate beardruff and make coarse hair smooth.